To find out lots more about this wonderful country, the VisitFinland website is a super place to browse videos, discover a bit about the various regions and attractions and to decide which part of the country you might like to visit. Have a look - it's a fantastic website! Good question! If you want a great family holiday in summer, with warm lakes to swim in, peace and quiet, and beautiful landscapes- this is the place! But equally, Finland offers a surprisingly good level of skiing, and we are heading to Levi in Lapland in 2015, for the 1st time, as an alternative to more traditional Alpine destinations. See below and on the accompanying links under the header images to find out how appealing Finland can be to families! 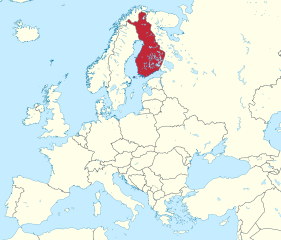 This will be our 1st winter holiday to Finland, where we will ski at Levi, which is the biggest resort in Lapland, (about 170km inside the Arctic Circle, and close to Kittilä on the map) as well as our 8th summer visit to this hidden gem of a country in the far north of Europe. We fell in love with Finland in 2006 when we stayed in the southern town of Kotka. We were back in 2008, flying to Helsinki, then staying in both Kotka and Varkaus, around 300 kms north east of the capital city. This gave us our first taste of the lakeland areas inland, and we loved swimming in the beautiful warm lakes! In 2010 we returned by car from Scotland in a heatwave to the areas close to Juva and Puumala, renting our first cottages by lakes that were incredibly warm to swim in. After such fantastic weather in 2010, we had high hopes of the same in 2011, and incredibly, we were again very lucky to have a real heatwave! We stayed in two cottages close to Juva again, and fell further in love with the tranquil solitude you experience in this spectacular lakeland area. By 2012, we wanted to try some new areas and cottages, so we planned a 24 day holiday, staying for a week in three different cottages as well as staying in a beautiful Helsinki aparthotel for 3 nights. It was lovely to discover the eastern town of Parikkala, as well as the western town of Ruovesi, and in between, we stayed for a week in what has become our firm favourite cottage of all our trips, close to Jyväskylä. We loved our stay on Lake Palvajarvi so much in 2012, that we returned to the same cottage again in both 2013 and 2014 for two weeks, and now, in 2015, we are looking forward very much to our 4th year at what is definitely a real home-from-home! 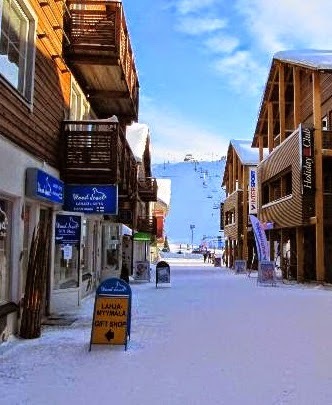 Around 170 km north of the Arctic Circle in Lapland, the town of Levi is the largest ski resort in Finland. It is situated around 15 minutes from Kittilä and its airport. Skiing takes place on all sides of Levi fell, the peak of which is 531m above sea level. There are 43 ski slopes (17 of which are floodlit for winter skiing) and a total of 27 lifts, including a brand new 6 seater chairlift with heated seats on the south slopes. Levi is used each year as a stop on the ski World cup circuit, with slaloms being held in mid-November. Lapland is like nowhere else...if you watch this short video that shows both summer and winter, you'll see why! On March 17th 2015, this display of Aurora was one of the best in the last 20 years in Finland. Watch this stunning short film to see just how beautiful they can be. We hope to see them in Levi, though we'd settle even for a less dazzling display than this one! One of the attractions of a holiday in Levi is the fact that there are plenty of other activities other than skiing. We're already booked to try this out! A beautifully made wee film showing what winter is like in Lapland. Our summer holiday will, for the 4th year running, be set in the area around Jyväskylä in central Finland. It's the largest city in central Finland, with a population of more than 130,000, though we'll be holidaying about 15 minutes drive outside the city close to the small town of Vaajakoski, in an area that is extremely sparsely populated. Jyväskylä is around 270 km north of the capital, Helsinki. It's hard to believe that as far north as in Finland, it's possible to swim in lakes where the temperature has reached almost 29C, but we have done this in both 2010 and 2011. 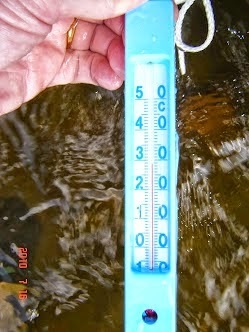 It helps if you choose a smallish lake, as they heat up very quickly in summertime! A wonderful little film that shows Helsinki, the Finnish Bay and life by the water there beautifully. Each year, we look forward to a couple of days spent in Helsinki, either at the start or end of our holiday. There's no doubt in my mind that the lakeland areas of central and eastern Finland are some of the most beautiful places I have ever experienced. Absolute peace, an abundant and varied range of birds, plants and animals, the fabulous solitude of sitting by your own lake after contemplating life in the sauna... No wonder I love Finland! A three minute round-up of all the things you'd do on a summer holiday in Finland. Fantastic! A gorgeous wee video highlighting the wonderful atmosphere of summer. This brings tears to my eyes! What it like after midnight in mid-summer in Finland...? Watch and find out! A look at the food that's grown, reared and served at various locations and restaurants around Finland. Delicious! A fantastic way to arrive in Finland is by using the Tallink Silja service from Stockholm in Sweden. These are magnificent boats which take you overnight into Helsinki's centre, and to travel by car with a good quality sea-view cabin is relatively inexpensive. Buffet dinners are outstanding! 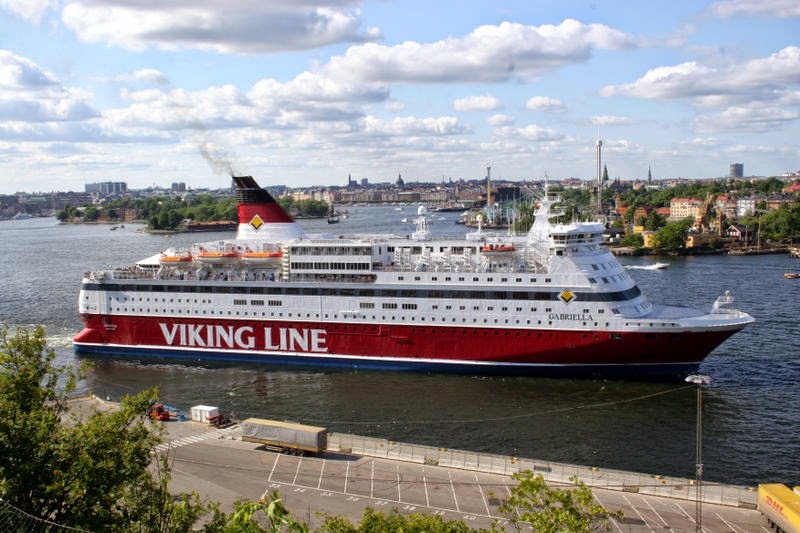 An inexpensive way to arrive in Finland is to take the Viking Line ferry service from Stockholm to Helsinki. This overnight service gives the opportunity to sleep in a spacious cabin, taking your car, and arriving the next morning in central Helsinki. This service operates at the same time as the Silja Line service each day. 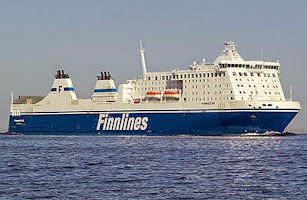 On several occasions over the past few years, we have used the excellent FinnLines ferry service from Travemunde in Germany, to sail right up the Baltic Sea to Helsinki. It's an expensive option, but it is a truly memorable journey on what are very modern and extremely comfortable boats. Highly recommended!